The financial aspects of a merger or acquisition are not the only considerations that make a transaction successful. People, Strategy, Structure, Process and Change Management Issues can make the difference between realized opportunities and unfulfilled expectations. Because most mergers and acquisitions set off rapid change, a company that addresses cultural, organizational, and strategic structure issues up front will have a head start on gaining the competitive advantage and enhanced shareholder value it seeks. 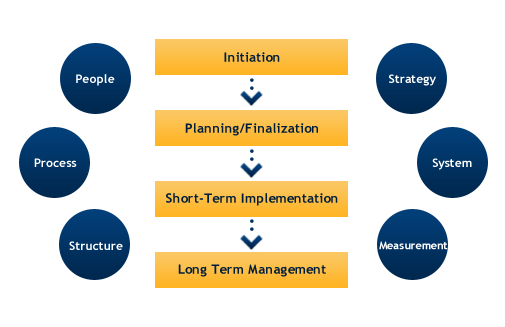 Quickly assess the impact on the customer/market and then to develop implementation plans for long-term strategy; including organization structure, processes, employees, and technology. Our consultants have wide-ranging experience and can partner with you from the initial planning and due diligence stages through transition to create an integrated plan. 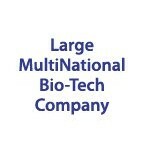 Challenge: A global pharmaceutical organization had acquired multiple mid-size biotechnology and pharmaceutical companies. The large organization was struggling with integrating the multiple companies and was facing issues of low morale, turnover, and resistance. Action: We created a custom workshop that was conducted throughout United States and Canada. The workshop specifically addressed the issues employees were facing due to the large scale change and gave real life advice on how to deal with those issues. A communication channel was also included in the workshops, which created a medium for the organization to deliver current updates about the organization to the employees. Result: Based on the workshop feedback, over eighty percent of the participants felt better able to deal with the large scale changes and felt better equipped to deal with the emotions they were experiencing. The large organization was very pleased with the result of these workshops and noted a significant increase in moral within the work environment. We have had a great deal of success with mergers and acquisitions but in 2010 we sought to reduce some of the friction that our internal process seemed to be experiencing. While ultimately much of our work in Corporate Development was highly successful it was clear that we were not operating the deal process as efficiently or as effectively as we could. As the executive responsible for all aspects of M&A activity I have a great sense of urgency for the company to realize its value targets and for us to build scale-able and replicable process to the extent possible. Our transactions can range from tens of millions to multiple billions, be incredibly complex, have international components, and we often must navigate a complex regulatory and competitive environment. Our company is now partnering with Michael as a strategic consulting partner to assist us with a variety of process consulting initiatives. Michael’s unique background as a psychologist, business development executive who completed transactions, and facilitation capabilities, as well as interpersonal skills and pragmatism helped our team and company to gain value that may not have been gained without him. I estimate his contribution to be worth many millions of dollars for us. “We have had a great deal of success with mergers and acquisitions but in 2010 we sought to reduce some of the friction that our internal process seemed to be experiencing. While ultimately much of our work in Corporate Development was highly successful it was clear that we were not operating the deal process as efficiently or as effectively as we could. As the executive responsible for all aspects of M&A activity I have a great sense of urgency for the company to realize its value targets and for us to build scale-able and replicable process to the extent possible. Our transactions can range from tens of millions to multiple billions, be incredibly complex, have international components, and we often must navigate a complex regulatory and competitive environment.